With the ambiguous echos of "Back To Black" punctuating the background, the teaser trailer for the upcoming Amy Winehouse documentary, Amy, will have you missing the enigmatic singer all over again. Directed by Asif Kapadia, Amy, is set to recount Winehouse's triumphs and misfortunes as she journeys from being an underground 'best kept secret' during Britain's burgeoning soul revival movement to international success whose personal demons and rising public persona could never coincide with one another, it all leading up to her succumbing to a much publicized downward spiral into drugs and alcohol that led to her life being tragically cut short in 2011. Fleshed out with interviews, beloved hit songs, and some never-before-heard tracks, Amy looks like it will appeal to those (like myself) who were gutted upon her passing and want to view the singer/songwriter in her creative element as well as learn new dimensions in the short life of this talented trailblazer. The clips in the teaser are downright eerie, as much as they are heartbreaking and have one wistfully long for the "what could have been" of her career. I'm especially curious about her creative process and how she battled against being pegged into a neat pop music box when she was anything but once she became a mainstream article, this considering the line she says in the clip, "I wouldn't write anything unless it was directly personal to me just 'cause I wouldn't be able to tell the story right. I'm not a girl trying to be a star or trying to be anything other than a musician." While it's obvious she was misunderstood (as most of us are...), I always suspected that fame wasn't what Winehouse needed as it damaged her in more ways than one and of course cheapened her music, which tagged with that uniquely raspy vox, was more somber, self-depreciating, and largely more insightful than the peers the media always tried to lump her with. Up to the end, she always seemed to push back against idolatry, dictating her fate as she hauntingly explained to an interviewer via clip, "I don't think I can handle it, I would probably go mad." 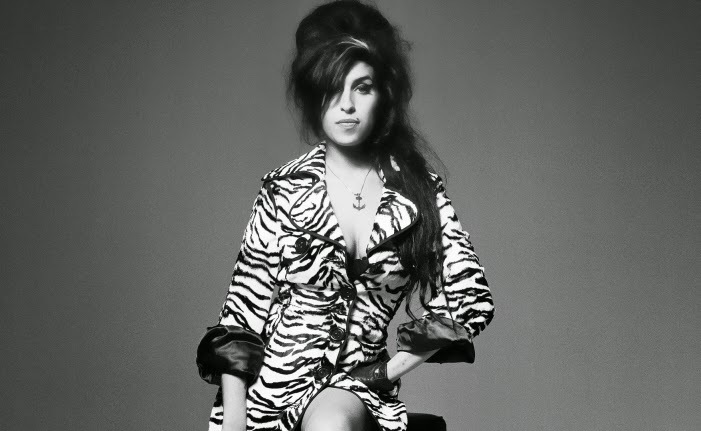 Amy will be in UK theaters in July 23 (the anniversary of Winehouse's death) with premiere dates in the US pending.